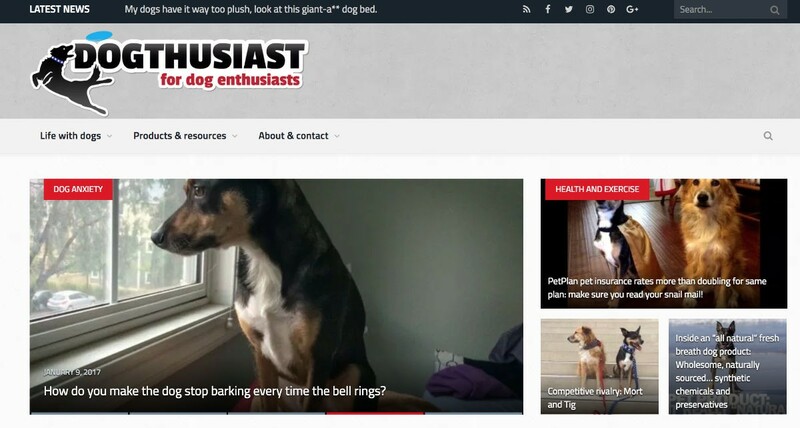 Created and manage the DOGthusiast.com website, in addition to writing and creating all content and creating the logo and all other feature image graphics and special series custom illustrations. Website is primarily for the creation of evergreen content. It has been up for several awards and recognition (mostly between 2012-2015). Website content is currently on hiatus as other projects are developed. Front page of the DOGthusiast website. 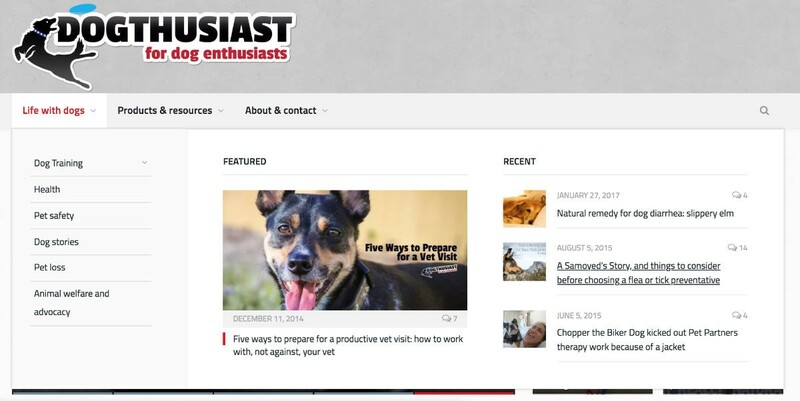 The main “fat” format menu for DOGthusiast.com.